When Attorney General Sessions announced the Trump administration’s family separation policy, all eyes turned to the border. In countless reports, we saw parents brought to federal courts without a clue about their children’s whereabouts and kids winding up in federal custody suddenly alone. Soon enough, the family separation policy reverberated throughout the country. By the time President Trump signed an executive order supposedly backtracking, the administration’s next step was in view: families would be detained together. 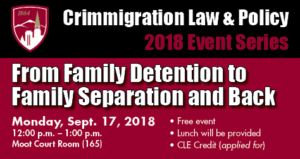 The trauma of family separation and family detention will be the focus of the Crimmigration Law and Policy Event Series at the University of Denver College of Law. A three-year project, the event series continues the University of Denver’s tradition of critical thought on timely topics about crimmigration law and policy’s past, present, and future. As the inaugural event in the series, From Family Detention to Family Separation and Back draws attention to the multiple chapters of this sordid tale. Participants Efrén Olivares of the Texas Civil Rights Project, Carlos M. García of García & García Attorneys at Law (and crimmigration.com sponsor), and Anita Maddali from Northern Illinois University will discuss family detention and family separation’s interconnectedness. From Bush-era prisons to Obama administration revitalization of family detention, the speakers will address how these policies have played out and raise concerns that emerge as the media spotlight moves forward, but the human impact remains. Join us in person at the University of Denver College of Law, room 165, on Monday, September 17 from 12:00 to 1:00 p.m. Mountain Time. 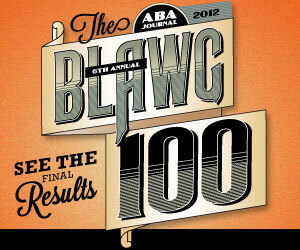 The event is free, open to the public, and CLE credit is available for Colorado attorneys. A livestream feed will also be available on crimmigration.com.